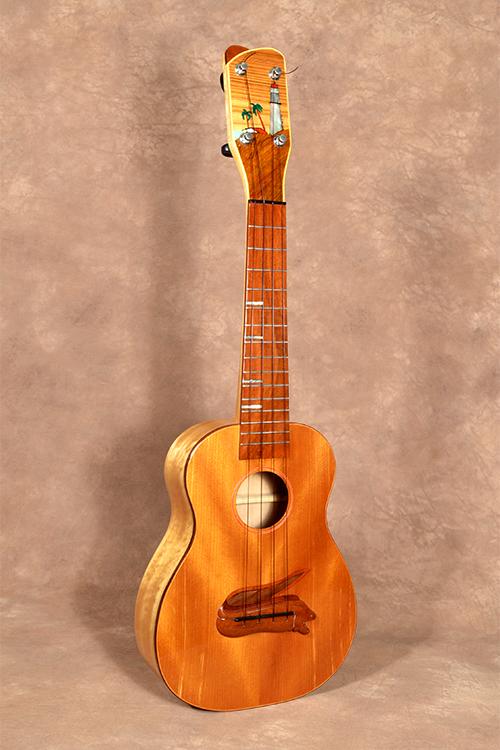 This is an instrument was built over ten years ago and entered it into a Hawaiian Woodshow. 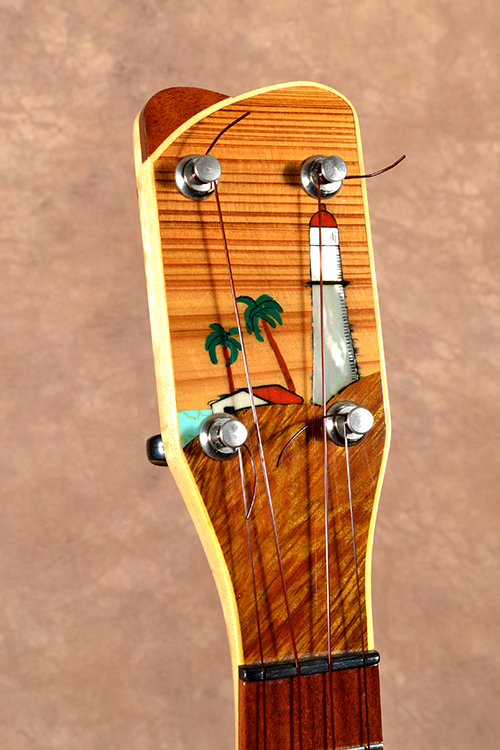 It was built (mostly) out of Hawaiian grown woods and has a Hawaiian theme with the Moray Eel bridge and a stylized Diamond Head light house inlay. Once it was returned from the Hawaiian wood show it hung on our display wall for a little while and then got tucked away, forgotten in storage until recently. 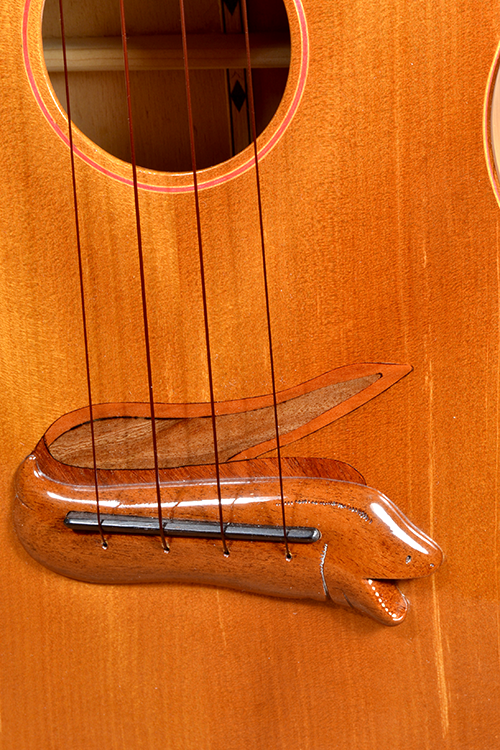 We restrung it and was impressed with how it sounds. 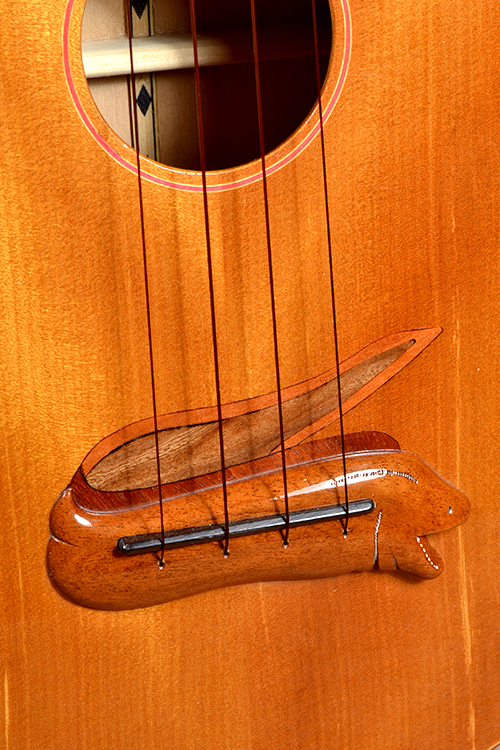 The soundboard is a piece of the ancient Kauri wood and a few more years of aging really brought this instrument to life. 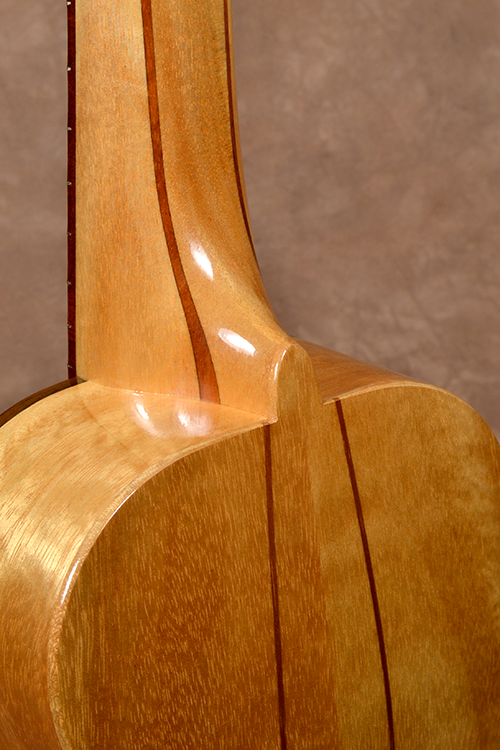 The Kauri wood is a species of pine that grew and still grows in New Zealand. Approximately 30,000 years ago a stand of these trees sunk into a peat bog where they remained until being unearthed a few years back. At one time I got some of this wood and used it in a few instruments. Radio-carbon-dating has determined the age of this wood. 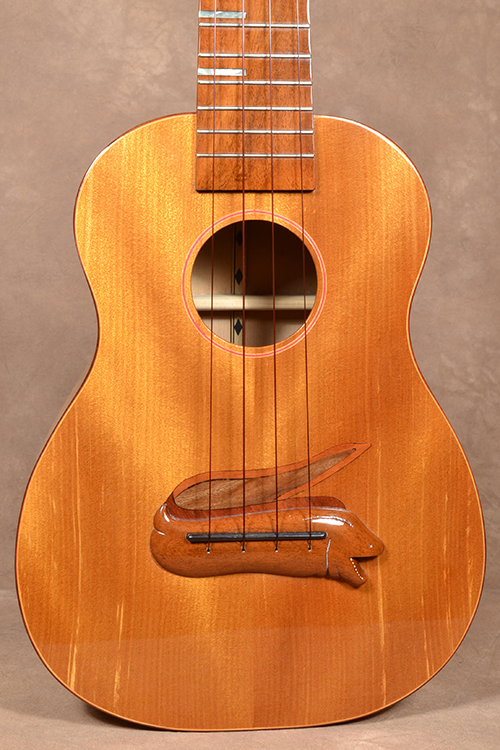 The body and the neck of the ukulele are Queensland Maple, a species of maple that grows in Hawaii and the fingerboard is Milo wood, another Polynesian hardwood. 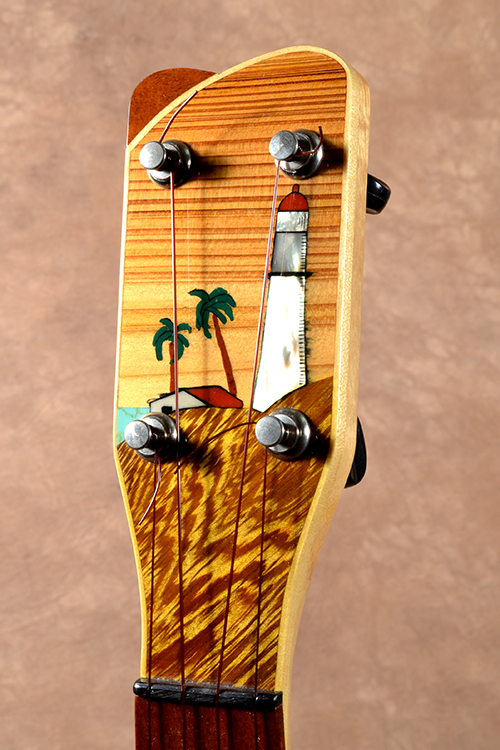 The top inlay is Mother of Pearl with a background of Pheasantwood and Tsugi Pine, also Hawaiian grown woods. 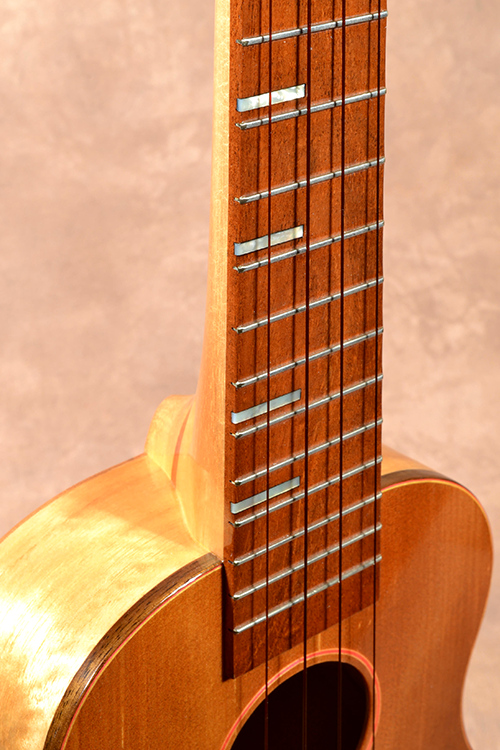 The instrument was made before Peghed tuners came about so it has normal Grover friction tuners on it. The finish, set up and action all are great. 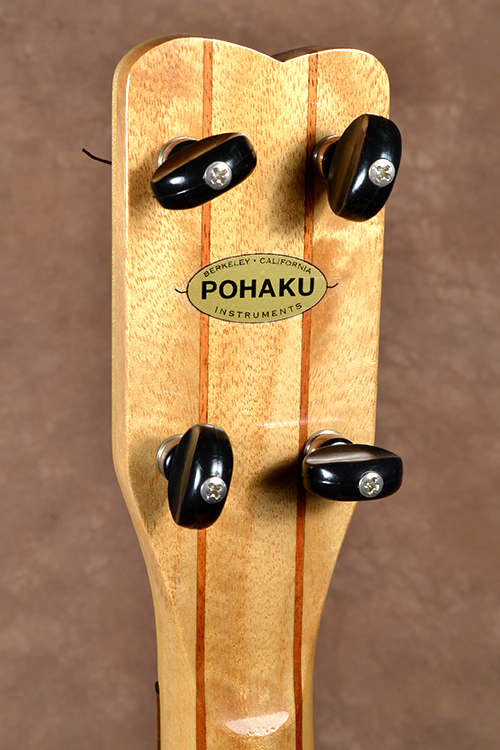 We're happy that in 2006 Pohaku ukes were still as amazing as they are today. 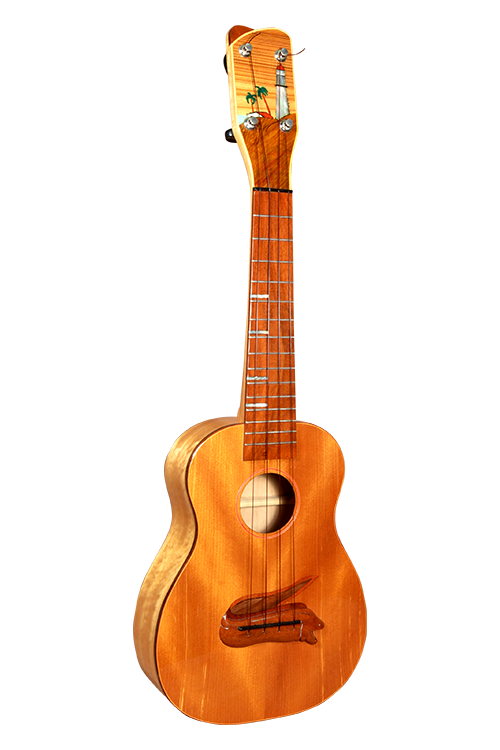 The ukulele comes with a hardshell case. It is approx. 24” long and weighs about 18 ozs.